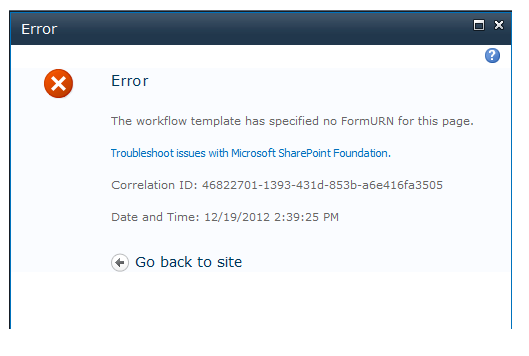 Approval task error: FormURN for this page get error, resolve that using the form properties. To resolve that see the infopath forms. May be you have customized the form and there is a field called Expire Date which is missing from the approve form. Add that field and try again. That helped us in our scenario.